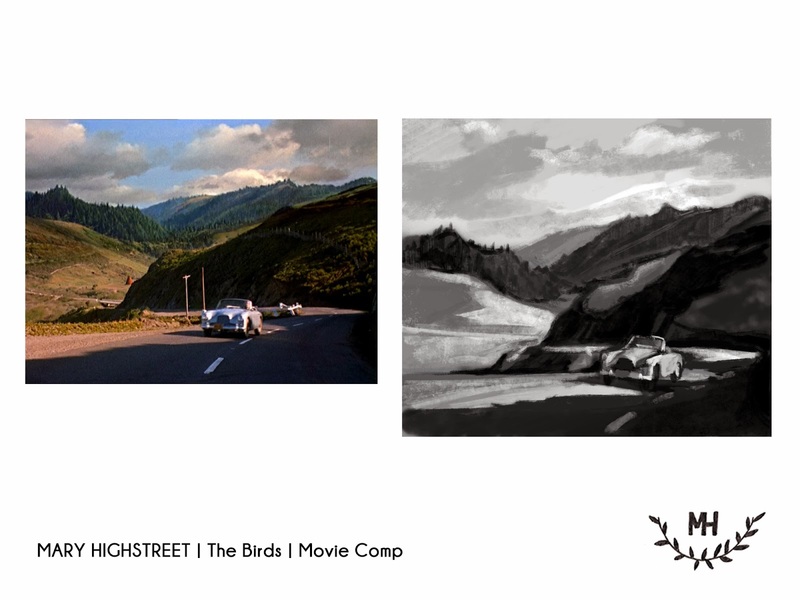 These are Composition & Value Studies based on Movie Stills. and the black and white is my Digital Painting. Had a fun time working on them. This above study is from "The Birds." I worked using two monitors (thanks to Matt! ), I had the image on a secondary monitor and the Cintiq plugged into my computer. The proportions and placements are a little off, since I was doing it all by eye with no guides. The style was rough as it was my first digital painting in a long time and I'm still fighting the medium a little bit. I re-worked the values a few times, and it could still use a little more tweaking, but it was good enough and I wanted to move on to a clean slate and a fresh piece. This study took about 1.5 hours total. You can see I get better as the studies progress. 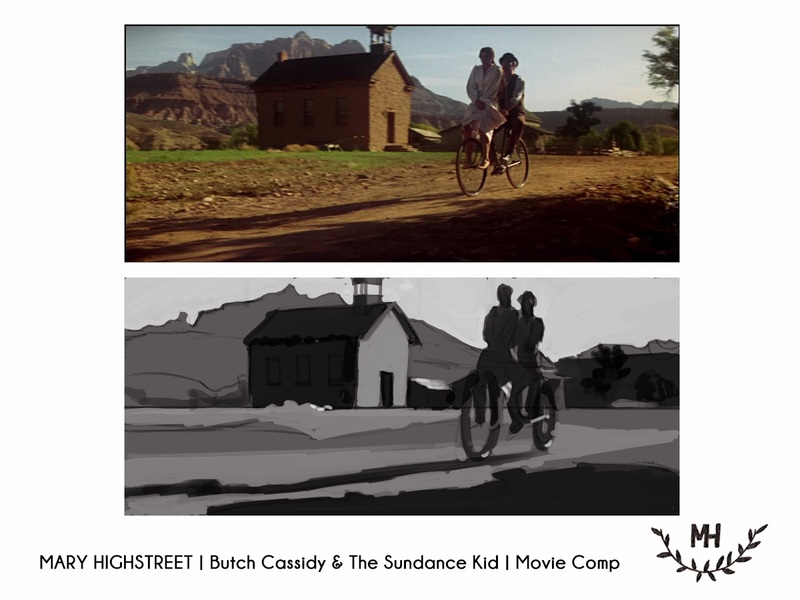 For "Butch Cassidy...", I wanted to focus less on detail, and more on just seeing the values. I am very happy with it!! Love the simplicity of it too. If you squint your eyes, you can see and compare the values, a little trick learned in art school. :) This was a 1 hour study. 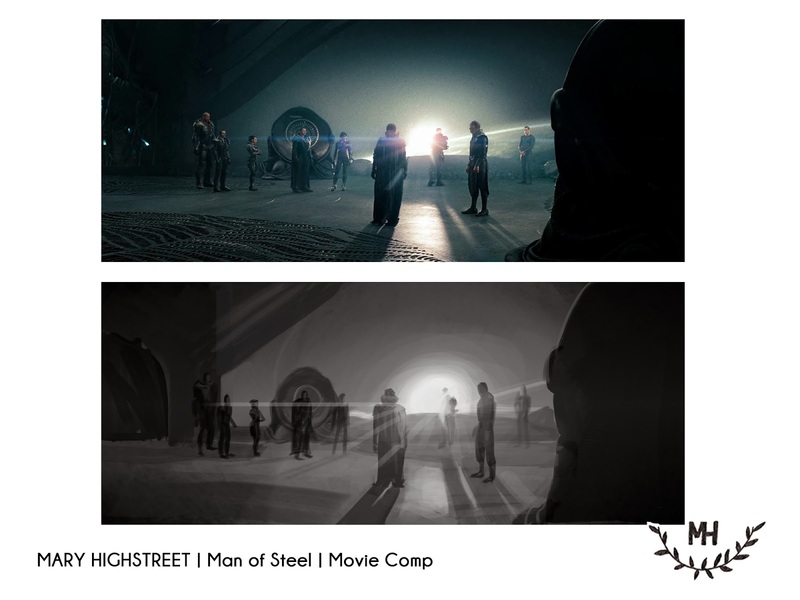 Finally, "Man of Steel" was the hardest one for me. It took about 2.5 hours, and it shows. You can see that there is a lot more detail than the other two. Very very happy with the values here. When I started out I was so nervous as this piece, with all the gradations and the sun beams, it seemed a lot more challenging. I am happy with the final result just wish I had included a little more detail. I hope I will get faster as time goes on. Had a lot of fun, can't wait for the next assignments!! !